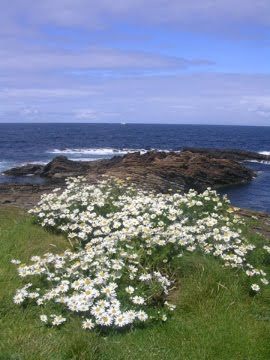 'To send strength, healing and positive connections to all in distress across the Globe'. 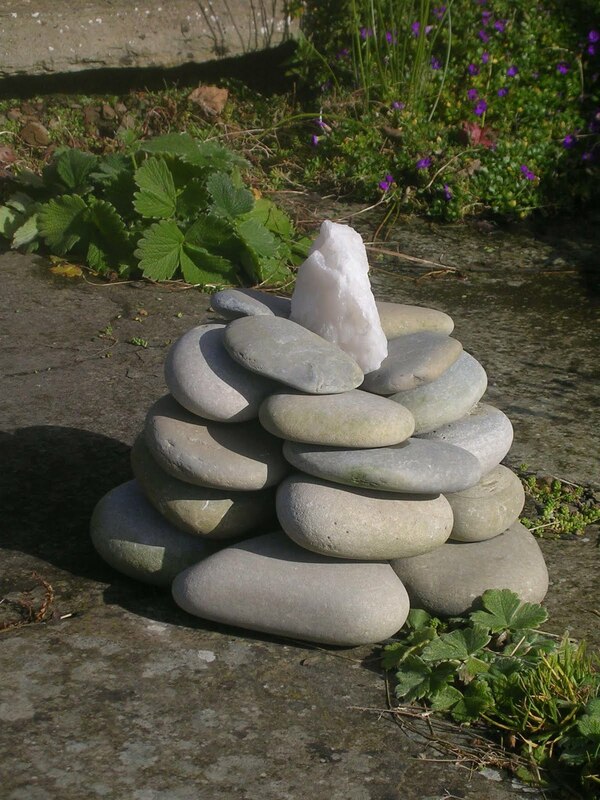 This meditation will use the snow quartz cairn and connected crystals here at Old Nisthouse, Harray, Orkney as a focus. 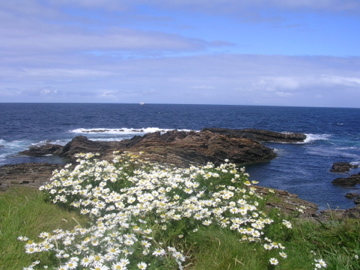 The cairn is shown in the image below. Thank you for your connection and please feel free to connect to the image of this cairn to help lands, people, animals, or plants in difficulty at any time. The cairn and crystals beneath are programed to work constantly in this way, for the greater good of all, as we travel through increasingly turbulent times on our journey into the Aquarian age and are meditated with daily where possible. 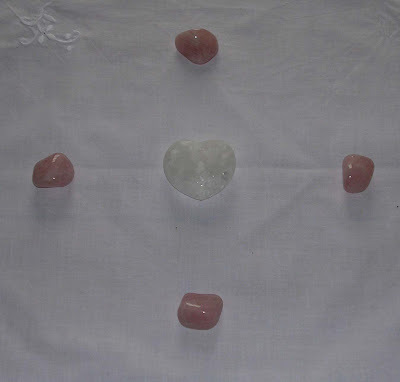 This meditation will use a Pure Peace set of crystals comprising of a Pure Grace Heart and four rose quartz. Please use the image below as a positive focus. Thank you for your connection. Just been looking back over the blog and it looks rather meditation biased. The Crystal Earth Meditations are a true gift in terms of the great healing they can bring and enabling us all to help others in need across the globe. However the planting of crystals to the earth is equally as important, bringing sustained healing and empowering every one of us with the opportunity to make a positive difference to our energy challenged planet and her inhabitants. Plenty of planting work has been going on over the summer here - its just more challenging to keep up to date with postings with children off school and time away! I will endeavour over the next few weeks to redress the balance and share with you some of the work achieved over the last couple of months. This meditation will use a chunk of rose quartz. Please use the image below as a positive focus. With thanks to all for your connection. This meditation will use a chunk of rose quartz. Please use the image below as a positive focus. Thank you for your connection.